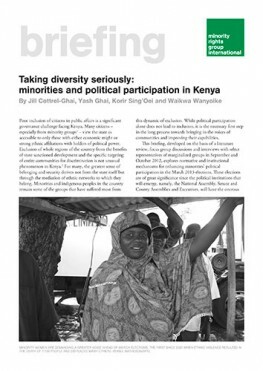 This briefing, developed on the basis of a literature review, focus group discussions and interviews with representatives of marginalized groups, explores normative and institutional mechanisms for enhancing minorities’ political participation in the March 2013 elections. These elections are of great significance because the emerging political institutions will have the task of translating the ambitious aspirations contained in Kenya’s 2010 Constitution into reality. 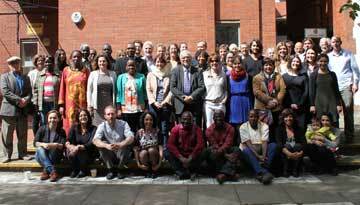 Minorities and indigenous peoples in Kenya remain largely excluded from political processes and public affairs. Therefore, the stakes are particularly high for minorities, given that this Constitution grants juridical recognition to marginalized communities and groups for the first time. But this recognition will not improve the situation for minorities unless appropriate legislative and regulatory regimes are put in place. This briefing aims to help minority communities lobby for inclusion of their concerns during the 2013 election process and the implementation of the new Constitution. It is also hoped that those from minority communities seeking elective positions at either the county or national levels will draw insights for engaging with the emerging opportunity structures. Subscribe to MRG publications here.